Often times in the Catholic faith we refer to this as Social Justice. 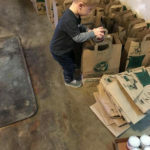 Please take a look at some of the ways our community seeks to reach out to the greater community. For more information on Catholic Social Teaching, please visit the United States Conference of Catholic Bishops. Look here for exciting opportunities to get involved in serving others in our community. St. Augustine St. Vincent de Paul Conference. If you would like to continue to contribute to the victims of the fires, through the direct person to person services of the St. Vincent de Paul Society, please contact the conference here at St. Augustine for more information. Give: To support agencies that are helping families and children impacted by the crisis. (100% of your donation will go to the 21 Catholic Charities agencies assisting unaccompanied children). Learn More: To learn more about Family Separation, visit the Justice For Immigrants (JFI) “Family Separation webpage to review backgrounders, educational material and a webinar. Catholic Charities USA is accepting donations online to help support those affected by the wild- fires here in California. All (100%) of contributions to a Catholic Charities USA campaign will support those suffering from the wildfires in our state. You may visit www.catholiccharitiesusa.org to contribute. 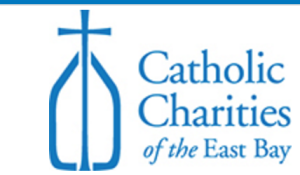 Checks can be sent to Catholic Charities USA, attn: California Wildfires, 2050 Ballenger Ave, Suite 400, Alexandria, VA 22314. East Bay Sanctuary Covenant offers sanctuary, solidarity, support, community organizing assistance, advocacy, and legal services to those escaping war, terror, political persecution, intolerance, exploitation, and other expressions of violence. They need volunteers to help refugees adapt to US life, civics exam tutors, fund raisers, and office volunteers. 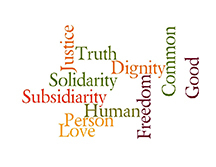 Please contact specific groups indicated on our Social Justice Ministries page, or the Parish Office by phone or email for additional information regarding any of the liturgical ministries. Located next door in the former St. Augustine Convent, Elizabeth House provides a safe, warm, clean and loving home to women and their children while they make a transition from poverty and homelessness, violence or addiction to lives of stability and greater self-sufficiency. The Elizabeth House staff provide more than beds and food; they offer support, hospitality and advocacy. The women are trained to manage their finances, and make accessible plans to bring stability into their lives and the lives of their children so that when they leave Elizabeth House, they are able to successfully care for their family. Parishioners at St. Augustine may volunteer time at Elizabeth House in a variety of ways. Volunteers can help with homework on Monday nights, spend time in the office with organization and administration, or assist with Christmas gifts during the holiday season. 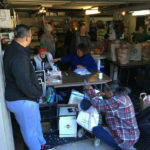 Contact Elizabeth House through their website at www.oakehouse.org or by phone at (510) 658-1380. The parish office receives many calls each month from parishioners and other neighbors who have very low income or are in need. These individuals request various material goods such as food and clothing, as well as other services. 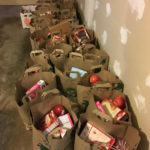 On the second and fourth Wednesdays of the month, grocery boxes are distributed to the families from the Saint Vincent pantry located in the basement of the rectory. The conference pays costs and delivery fees for furniture, makes home visits, and provides transportation vouchers. Maureen Wikander chairs a ministry to initiate and organize our charitable contributions to St. Vincent de Paul both at the church and the community. Contact our St. Vincent de Paul chapter by calling or texting Maureen Wikander at (510) 847-3585 or email Maureen Wikander. You may also call the Parish Office number at (510) 653-8631 for assistance. Consider becoming an adult volunteer catechist to those with Special Needs in a small group setting. SPRED (SPecial Religious Education Department) Provides ongoing faith formation for children, teens or adults with developmental disabilities.email for additional information regarding any of the liturgical ministries. 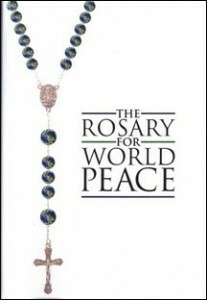 We welcome you to pray our “Rosary for Peace” on the 1st Sundays of each month. Rosary for Peace begins in the front, right pews at 9:15 a.m. following the 8am Mass. Please contact the Parish Office at (510) 653-8631 for more information.